Performance in cycling events is strongly dependent on aerodynamic drag due to the high proportion of resistance that it contributes. The drag of individual cyclists has been shown to vary with riding posture and the drag of cyclists travelling in close proximity will vary as a function of separation distance. However, the influence of riding posture and the interplay between cyclists in a team is a complex problem that is not well understood. 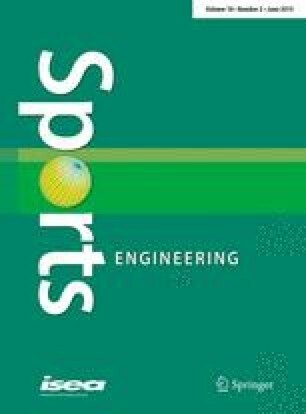 This study aims to develop a better understanding of the aerodynamic drag interactions between cyclists riding in a team as a function of their riding position. A team of four athletes was tested in the Monash University Wind Tunnel using a bespoke force balance that can measure drag on all four athletes simultaneously. Compared to an individual rider, the four riders in a team experienced mean drag savings of 5, 45, 55 and 57 % in positions 1, 2, 3 and 4 of the team, respectively. The results of individual athlete tests were shown to be a good indicator of drag response when applied in a team environment. Strong aerodynamic interactions were observed between the riders in a pursuit team. However, these varied significantly and appear to be unique functions of individual athlete body shape. Given the small winning margins at the elite level, a detailed understanding of the interactions between riders will deliver a performance edge. However, it appears necessary to test the actual athletes in situ to fully optimise performance as general trends were not consistent. This work was carried out with the support and funding of the Australian Institute of Sport (AIS) and Australian Sports Commission (ASC) under Australian Research Council Linkage Project 2011003347. The authors would also like to acknowledge the contributions of the technical staff of the Monash University Wind Tunnel and the athletes who volunteered their time for this research. One of the authors of this paper is an employee of the AIS, a source of funding for this research. This does not represent a conflict of interest as it was a joint research project between the AIS and Monash University. All testing reported in this article was conducted according to approval from the Monash University Human Research Ethics Committee. Project Number CF13/1326–2013000679.